The decision of the Singapore Court of Appeal is significant for four reasons. First, the court confirmed that when hearing a stay application under s 6 of the IAA, a Singapore court should adopt a prima facie standard of review, instead of a full merits approach. Second, the court held that a dispute over minority oppression or unfairly prejudicial conduct was arbitrable. Third, where the court proceedings which were sought to be stayed were in respect of more than a single “matter”, the court’s obligation was to stay only that part of the court proceedings which concerned the matter or matters that fell within the ambit of the arbitration clause. Fourth, where only part of the court proceedings were subject to a mandatory stay in favour of arbitration, the court demonstrated how its inherent power to stay court proceedings in the interests of case management pending the resolution of a related arbitration was exercised. The plaintiff entered into a share sale agreement (the “Share Sale Agreement”) with the second defendant for 4.2% of the shares in the eighth defendant. The Share Sale Agreement contained an arbitration agreement. The first and second defendants were together the majority and controlling shareholders, while the third to seventh defendants were the directors and/or shareholders of the eighth defendant. The other defendants were not parties to the Share Sale Agreement. The plaintiff alleged that it had been oppressed as a minority shareholder of the eighth defendant and commenced a minority oppression claim pursuant to s 216 of the Companies Act (Cap 50, 2006 Rev Ed) (the “CoA”) against the defendants, seeking reliefs which included a buyout order, an order to regulate the conduct of the eighth defendant and/or an order for the winding up of the eighth defendant. Share Issuance Allegation This concerned the issuance of the eighth defendant’s shares without commercial justification, and which had the effect of diluting the plaintiff’s shareholding in the eighth defendant by more than 50%. Management Participation Allegation The plaintiff claimed that there was an understanding or a legitimate expectation on its part that it would participate in the management of the eighth defendant. Guarantees Allegation The plaintiff claimed that the eighth defendant executed guarantees securing the obligations of a company which was unrelated to the eighth defendant. Asset Exploitation Allegation The eighth defendant expended resources for the benefit of the eighth defendant’s majority shareholder. The defendants applied to stay the proceedings under s 6 of the IAA and/or the inherent jurisdiction of the court. The assistant registrar refused the stay application. On appeal, the High Court similarly refused the stay application. in the event that the court proceedings between the plaintiff and the first defendant were covered by the arbitration clause and were stayed in favour of arbitration, whether the remainder of the court proceedings should be stayed pending the resolution of the arbitration. Section 6 of the IAA provided that the court must stay court proceedings relating to “any matter” that is covered by an arbitration agreement upon an application for a stay by a party to that agreement. The only exceptions were where the court was satisfied that the arbitration agreement was “null and void”, “inoperative” or “incapable of being performed”. In the prima facie approach, if the court is satisfied on a prima facie standard that the conditions for the grant of the stay (i.e. that there exists an arbitration clause which is valid and which covers the dispute at hand) have been met, it should grant the stay and defer to the arbitral tribunal the determination of whether those conditions have indeed been satisfied. This approach preserves the arbitral tribunal’s kompetenz-kompetenz to examine the existence and scope of its jurisdiction afresh and determine it fully. In the full merits approach, the court undertakes an actual determination of the existence and scope of the arbitration agreement when it hears a stay application under s 6 of the IAA. On this view, the court grants a stay if, and only if, it is satisfied that the requirements for the grant of a stay have in fact been met. This approach might have the advantage of expedience in that it allows the court to pronounce with finality on an arbitral tribunal’s jurisdiction in the first instance, instead of deferring the question to the arbitral tribunal, only to face the prospect of the same question coming back to the court in the event of an appeal against the arbitral tribunal’s jurisdictional ruling, or if the unsuccessful party in the arbitration resists enforcement of the arbitral award or applies to set it aside on the basis of the arbitral tribunal’s lack of jurisdiction. After an extensive review of the travaux préparatoires of the Model law and the positions in England, Hong Kong and Canada, the Court of Appeal held that a Singapore court should adopt a prima facie standard of review when hearing a stay application under s 6 of the IAA. 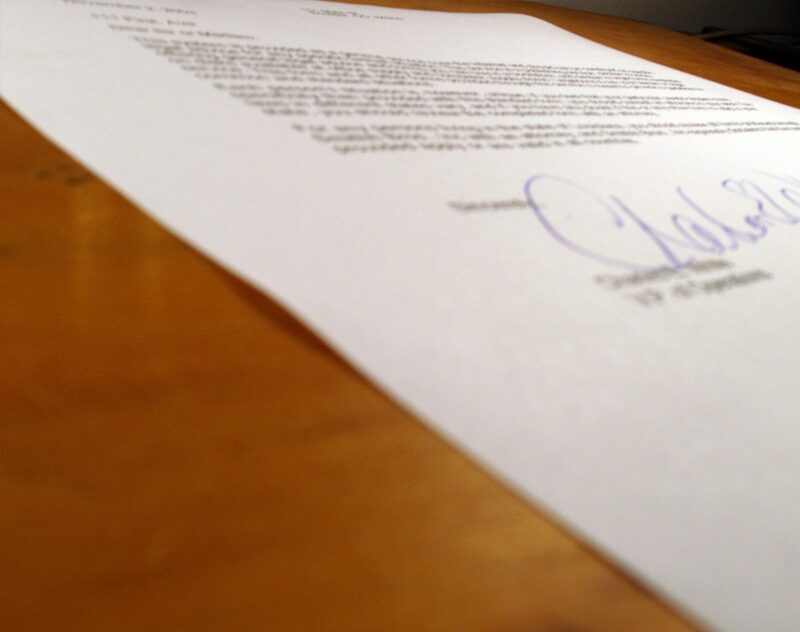 the arbitration agreement was not null and void, inoperative or incapable of being performed. Once this burden has been discharged by the party applying for a stay, the court should grant a stay and defer the actual determination of the arbitral tribunal’s jurisdiction to the tribunal itself. The court would only refuse to grant a stay when it was clear on the evidence placed before it that one or more of the above three requirements had not been satisfied. The arbitral tribunal’s determination of its jurisdiction would nonetheless remain subject to overriding court supervision in the form of an appeal under s 10(3) of the IAA against the arbitral tribunal’s jurisdictional ruling, or in proceedings for setting aside or refusing enforcement of the award rendered by the arbitral tribunal. The prima facie approach cohered better with intentions of parliament. The full merits approach had the potential to reduce an arbitral tribunal’s kompetenz-kompetenz to a contingency dependent on the strategic choices of the claimant as to whether it would pursue its claim by way of court proceedings or by way of arbitration. That undermined the principles of judicial non-intervention and kompetenz-kompetenz which were at the forefront in the drafting of the Model Law and the enactment of the original IAA. The fear of resource duplication which, it was said, would arise from the prima facie approach was overstated. A robust recognition and enforcement of the kompetenz-kompetenz principle may, on the contrary, deter a plaintiff from commencing proceedings in court in the face of an arbitration agreement. When s 6 of the IAA required the court to be “satisfied” that the arbitration agreement was not null and void, inoperative or incapable of being performed, it did not require to court to conduct a full merits review of the existence or validity of the arbitration agreement. The court held that the non-arbitrability of a dispute would be a ground for refusing a stay of court proceedings in favour of arbitration because the arbitration agreement would be either “inoperative” or “incapable of being performed” in relation to a dispute which involved a subject matter that was not arbitrable. The effect of s 11 of the IAA was that there would ordinarily be a presumption of arbitrability so long as a dispute fell within the scope of an arbitration clause. it would be contrary to the public policy considerations involved in that type of dispute to permit it to be resolved by arbitration. Section 216 of the CoA was not introduced to protect or further any public interest. Instead, it was concerned with protecting the commercial expectations of the shareholders of a company. Hence, there was, in general, no public element in disputes of this nature which mandated the conclusion that it would be contrary to public policy for them to be determined by an arbitral tribunal rather than by a court. The fact that the relief sought might be beyond the power of the arbitral tribunal to grant did not in and of itself render the subject matter of the dispute nonarbitrable. In the court’s view, there was nothing to preclude the underlying dispute from being resolved by an arbitral tribunal, with the parties remaining free to apply to the court for the grant of any specific relief which might be beyond the power of the arbitral tribunal to award. In so far as any findings had been made in the arbitration in such a case, the parties would be bound by such findings and would, at least as a general rule, be prevented from re-litigating those matters before the court. The court noted the High Court’s concern that sending the dispute in the Suit to arbitration, only to have the parties return to the court for their remedy may lead to procedural complexity in the form of the possibility of conflicting findings between the two sets of proceedings and the possibility that the court would disagree with the arbitral tribunal on findings of fact or on the appropriate remedy to be granted. However, the court held that such procedural difficulties did not render the dispute non-arbitrable because inconvenience was not the threshold that justifies refusing a stay of court proceedings on the basis that the subject matter of the dispute is non-arbitrable. it must then ascertain whether the matter(s) fell within the scope of the arbitration clause on its true construction. Where the court proceedings which were sought to be stayed were in respect of more than a single “matter”, the court’s obligation was to stay only that part of the court proceedings which concerned the matter or matters that fell within the ambit of the arbitration clause. The court held that the language of s 6 of the IAA clearly recognised that the court, when faced with a stay application, was not presented with a binary choice which confined it to either staying the proceedings entirely and so forcing the parties to arbitrate, or refusing the stay and allowing the court proceedings in their entirety to continue. Instead, s 6(2) contemplated that the court was to stay the proceedings “so far as [they] relate to [the] matter”. This militated against taking an excessively broad view of what constituted a “matter” or treating it as a synonym for the court proceedings as a whole. When the court considered whether any “matter” was covered by an arbitration clause, it should undertake a practical and common-sense inquiry in relation to any reasonably substantial issue that was not merely peripherally or tangentially connected to the dispute in the court proceedings. The court should not characterise the matter(s) in either an overly broad or an unduly narrow and pedantic manner. In most cases, the matter would encompass the claims made in the proceedings. But, that was not an absolute or inflexible rule. On the specific facts of this case, each of the four categories of allegations made in the Suit raised substantial issues that are neither peripheral nor tangential to plaintiff’s claim for relief under s 216 of the Companies Act. Accordingly, the court found that each category was a separate “matter” for the purposes of the defendants’ stay application under s 6 of the IAA. The dispute was whether the Share Issuance Allegation and the Management Participation Allegation fell within the scope of the arbitration clause in the Share Sale Agreement, as there was no dispute that the other two allegations made by the plaintiff in the Suit did not. The substance of the controversy concerned the issuance of shares by the company after the Share Sale Agreement was concluded and whether there was any commercial justification for that share issuance. The issue of whether there was any commercial justification for that share issuance was wholly unaffected by the Share Sale Agreement. The Management Participation Allegation fell squarely within the ambit of the arbitration clause in the Share Sale Agreement because the Share Sale Agreement was the plaintiff’s only basis for asserting that there was an understanding or a legitimate expectation on its part that it would participate in the company’s management, and construction of the Share Sale Agreement would form an inescapable and substantial step in establishing the existence of any understanding or legitimate expectation of management participation by the plaintiff. Therefore, the court held that there was a prima facie case that only the Management Participation Allegation fell within the scope of the arbitration clause in the Share Sale Agreement, and accordingly, the court proceedings in respect of this allegation was stayed. This issue related to whether and, if so, how the court should exercise its inherent power to stay court proceedings relating to the other three allegations in the interests of case management pending the resolution of a related arbitration. stay the court proceedings only to the extent that is required under s 6 of the IAA, and allow the putative arbitration and the remaining court proceedings to run in parallel (ie, concurrent resolution of the arbitration and that part of the court proceedings which falls outside s 6). The court held that the fact that part of a dispute was sent for arbitration does not mean that the court proceedings relating to the rest of the dispute would be stayed as a matter of course. The court must in every case aim to strike a balance between three higher-order concerns that may pull in different considerations: first, a plaintiff’s right to choose whom he wants to sue and where; second, the court’s desire to prevent a plaintiff from circumventing the operation of an arbitration clause; and third, the court’s inherent power to manage its processes to prevent an abuse of process and ensure the efficient and fair resolution of disputes. The balance that is struck must ultimately serve the ends of justice. The court proceedings between these two parties in relation to the Management Participation Allegation were subject to a mandatory stay under s 6 of the IAA. That allegation formed part of the plaintiff’s case against all eight defendants named in the Suit, in which plaintiff alleged oppressive or unfairly prejudicial conduct towards it as a minority shareholder of the company. It was not suggested that the Management Participation Allegation on its own could sustain the oppression claim that the plaintiff wished to pursue. It would be logical to have the Management Participation Allegation determined first as between the plaintiff and the second defendant by arbitration. This would likely involve a reasonably limited inquiry into the construction of a specific provision in the Share Sale Agreement. Thereafter, the rest of the court proceedings by the plaintiff against the second defendant (i.e. the court proceedings relating to the other three allegations made by the plaintiff in the Suit) could proceed, with the court having the benefit of the arbitral tribunal’s award on the Management Participation Allegation. At the time of the stay application and appeals, there was no arbitration afoot and the plaintiff could elect to forgo its reliance on the Management Participation Allegation as far as the second defendant was concerned, and rest its case against the second defendant in the court proceedings on the remaining three allegations. There was no arbitration agreement between any of these parties. The remaining defendants sought a stay of the court proceedings against them as a matter of case management. Such a position would be warranted, especially if the remaining defendants were agreeable to being bound by whatever decision reached by the arbitral tribunal on the Management Participation Allegation as between the plaintiff and the second defendant. The remaining defendants’ stance of seeking a stay of the court proceedings against them pending the arbitration of the Management Participation Allegation between the plaintiff and the second defendant was inconsistent with their retaining a right to re-litigate (in the broad sense) that allegation after the arbitration. Any attempt to do so may well fall within the remit of the doctrine of abuse of process. A situation of such abuse of process would be even more likely to materialise if the plaintiff offered to arbitrate the Management Participation Allegation with the remaining defendants before the same tribunal as that which dealt with this allegation as between the plaintiff and the second defendant, but the remaining defendants declined the offer. The second defendant’s position at the time of the stay application and appeals was that it wished to proceed with the Suit in court. The plaintiff should first decide whether it was willing to forgo its claim against second defendant on the Management Participation Allegation. If plaintiff decided not to pursue the Management Participation Allegation against the second defendant, then there would be no need for the court proceedings in the Suit to be stayed. But in that event, the plaintiff would not be entitled to rely on the Management Participation Allegation against the remaining defendants. If it were to do so, that would be a naked attempt on its part to circumvent the arbitration clause in the Share Sale Agreement. The Management Participation Allegation rested entirely on a clause in the Share Sale Agreement, and the only counterparty to that agreement was the second defendant. Hence, if the plaintiff decided not to pursue the Management Participation Allegation against the second defendant, then this allegation would not form part of its case against the remaining defendants as well. Since the Management Participation Allegation was subsidiary in importance to the other issues and allegations, if the plaintiff decided to pursue this particular allegation, the stay of the court proceedings would be conditional upon this allegation being arbitrated expeditiously. The parties to any arbitration to resolve the Management Participation Allegation should therefore endeavour to have it resolved by means of any expedited procedures that may be available. In any case, should the resolution of any such arbitration of the Management Participation Allegation be unduly delayed, any party to the arbitration had liberty to apply to the court for the stay to be lifted and for the court proceedings in respect of the plaintiff’s remaining three allegations to proceed. In scenario (3) above, the plaintiff should consider whether it was willing to offer to arbitrate the Management Participation Allegation with the remaining defendants before the same tribunal as that which was to be constituted to arbitrate this allegation as between the plaintiff and the second defendant. If the plaintiff did make such an offer but the remaining defendants declined that offer, then that, coupled with their stance of asking for a stay of the court proceedings against them on the basis of case management, would provide strong grounds for finding that it would be an abuse of process for them to seek to re-litigate (in the broad sense) the Management Participation Allegation in court after the conclusion of the arbitration between the plaintiff and the second defendant. If the plaintiff decided to pursue the Management Participation Allegation against the second defendant by arbitration, whether with or without the participation of the remaining defendants, then the rest of the court proceedings in the Suit, whether against the second defendant or against the remaining defendants, would be stayed in the interests of case management. The significance of the court's decision that when hearing a stay application under s 6 of the IAA, a Singapore court should adopt a prima facie standard of review, instead of a full merits approach, is that the hurdle for an applicant to stay court proceedings in favour of arbitration is lower, and correspondingly, the hurdle for a party resisting the stay application is higher. The practical effect is that parties should only challenge an application to stay court proceedings if there is clear evidence that there is no valid arbitration agreement, or the arbitration agreement does not apply. The accompanying benefit is that parties to an arbitration agreement will have greater certainty that any court proceedings commenced in seeming breach of an arbitration agreement will likely be stayed in ordinary cases. Adopting a prima facie standard of review demonstrates the court’s commitment towards upholding the kompetenz-kompetenz principle, which is the principle that the arbitral tribunal has the jurisdiction to determine its own jurisdiction, as embodied in Art 16 of the UNCITRAL Model Law. Given that a full merits approach might have the advantage of expedience in that it allows the court to pronounce with finality on an arbitral tribunal’s jurisdiction, the court's decision is a principled one. This aligns Singapore's position with the other Model Law jurisdictions of Hong Kong and Canada. remedial inadequacy and procedural complexity are not enough to render a particular dispute non-arbitrable. This is again a very principled reading of the legislation, which happens to be in line with the court's pro-arbitration stance. Having decided that procedural complexity was not sufficient to render a claim nonarbitrable, the court demonstrated its willingness to give practical effect to the arbitration agreement by exercising its power to stay court proceedings in the interests of case management pending the resolution of the arbitration proceeding. As can be seen from the court’s analysis, this entails a close consideration of the circumstances of the case to ensure the efficient and fair resolution of the dispute as a whole. The very precise and nuanced orders by the court are truly laudable.